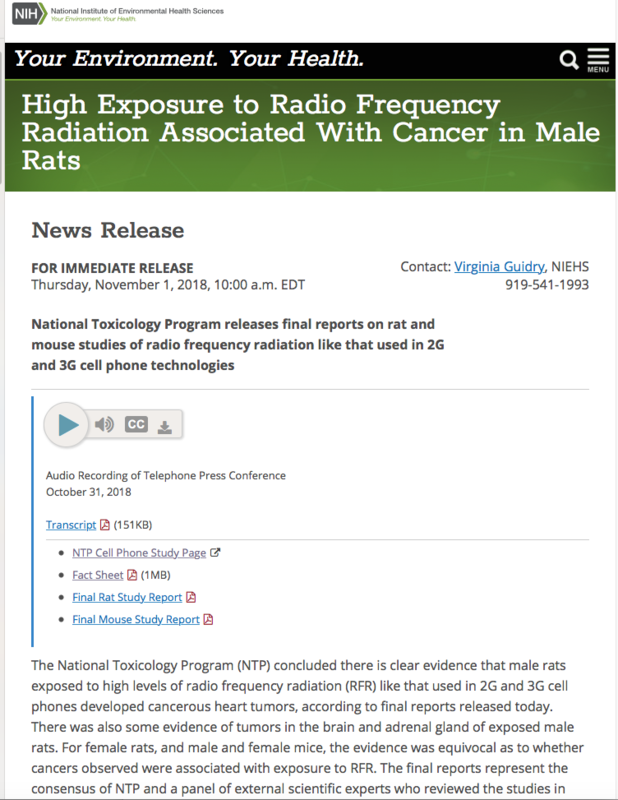 Ronald Melnick PhD, the National Institutes of Health Senior Scientist who led the design of the National Toxicology Program (NTP) studies on cell phone radiation released this statement after the NTP released their final reports on rats and mice exposed to long term radiofrequency radiation November 1, 2018. Melnick recently published an article in the journal Environmental Research debunking widely circulated criticisms of the NTP study. He also released a scientific criticism of the way the NTP study was treated by the International Commission on Non-Ionizing Radiation Protection (ICNIRP). 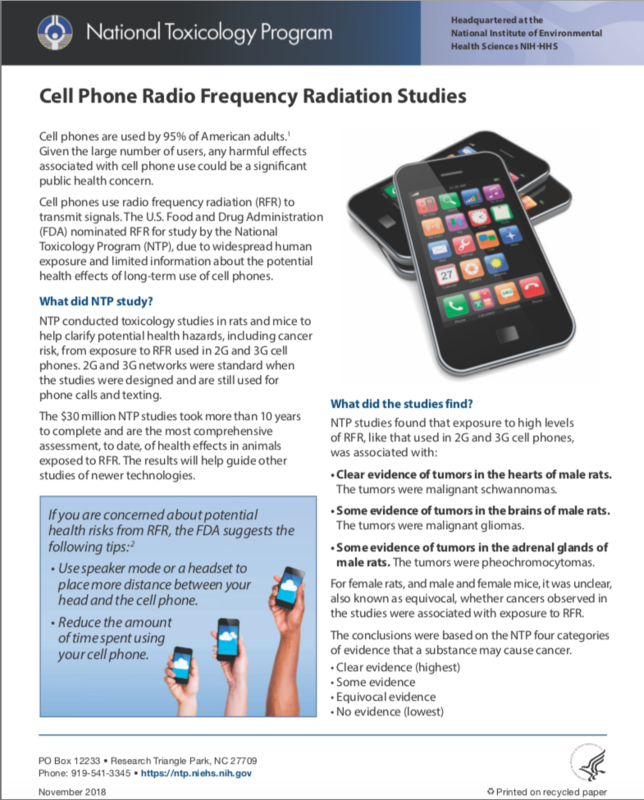 An important lesson that should be learned from the NTP studies on cell phone radiofrequency radiation is that we cannot assume any current or future wireless technology is safe without adequate testing. In the interest of public health, government agencies must utilize results from these well-conducted health effects studies and issue clear recommendations to the public on how to reduce exposures to agents that are hazardous to our health. The NTP studies clearly shows that non-ionizing radiation can cause cancers and other adverse health effects.